Canadian Interior Design Blogs List. The Best Canadian Interior Design Blogs from thousands of Canadian Interior Design blogs on the web using search and social metrics. Subscribe to these websites because they are actively working to educate, inspire, and empower their readers with frequent updates and high-quality information. Canadian Interior Design newsletter is a comprehensive summary of the day's most important blog posts and news articles from the best Canadian Interior Design websites on the web, and delivered to your email inbox each morning. To subscribe, simply provide us with your email address. Canada About Blog Popular website all about home decor ideas - interior design, exteriors, landscape design, backyard ideas and home improvement. Facebook fans 284,693. Twitter followers 407. Vancouver, BC, Canada About Blog With a fresh take on contemporary and a passion for colour, Maria is known for creating warm, comfortable and inspired spaces for her clients. Facebook fans 12,609. Twitter followers 5,199. Toronto, ON Canada About Blog How to decorate your home from start to finish - even if you don't know where to start. Tutorials include: how to mix and match patterns, creating a whole home color scheme, how to create vignettes, decorating with family photos, choosing the perfect area rug size for your space and more. Facebook fans 12,414. Twitter followers 4,015. Vancouver About Blog Vancouver magazine informs, guides, and entertains people who engage with this city. Facebook fans 13,455. Twitter followers 77,459. Toronto, Canada About Blog Jane Lockhart Interior Design provides expert interior design solutions for residential and commercial clients across North America. Facebook fans 25,240. Twitter followers 8,070. About Blog Zolo is the most popular online brokerage in Canada with over 4 Million visitors a month and growing!. Facebook fans 846. Twitter followers 363. Canada, Halifax About Blog Lushome brings you creative ideas and latest trends in home decorating and interior colors. The blog presents contemporary Green ideas and new designs in home furnishings, keeps its readers informed and entertained. Lushome shares wonderful collections offering modern interior design inspirations. Facebook fans 8,673. Twitter followers 1,249.
published in Canada since 1964 About Blog Canadian Interiors is the longest running interior design magazine in Canada and a must for all interior design professionals. Facebook fans 528. Twitter followers 2,507. Montreal (Qc), Canada About Blog Nordic Design is a leading, award-wining blog dedicated to Scandinavian-inspired design and interiors. Updated regularly, Nordic Design presents a curated selection of innovative products, beautiful home tours, travel tips, shopping destinations, interviews, styling inspiration and decorating ideas. Facebook fans 36,702. Twitter followers 3,444. Toronto/GTA/ About Blog Canada's Leading publisher of new homes, new condos and renovation related media & magazines. Facebook fans 650. Twitter followers 1,787. Toronto, Canada About Blog Lindsay Stephenson is a Canadian designer, known best for her product designs sold in retailers across North America. Facebook fans 1,012. Twitter followers 4,424. Toronto, Canada About Blog A premiere luxury lifestyle magazine, with an exclusive audience, HOMEFRONT teases its readers with a sneak preview of the world's finest in design. Facebook fans 904. Twitter followers 746. Toronto About Blog Rambling Renovators is a chronicle of our renovations, DIY adventures, creative projects, and home life here in Toronto. Here you will find toronto DIY, design and lifestyle blog about buying, renovation, decorating, crafts, and making a home. Facebook fans 3,967. Twitter followers 5,122. Canada About Blog Home improvement and home decoration tips for Canadian homeowners. Facebook fans 19,752. Twitter followers 6,332. Toronto & Winnipeg Canada About Blog Home Trends – your Home Décor & Lifestyle Magazine, has short, informational articles relating to home décor, building and renovating. Home Trends is much more then a home décor magazine, we are a décor enthusiast’s answer to all his/her needs as a modern homeowner. Facebook fans 9,803. Twitter followers 30,010. Toronto, Canada About Blog Condos.ca is Toronto's most informative condominium Guide offering detailed SQFT analysis of each Toronto Condo. Facebook fans 2,330. Twitter followers 7,319. Toronto, Ontario About Blog THE CURATED HOUSE is an interior design blog full of inspiration on how to use design to tell your story. Facebook fans 1,261. Twitter followers 1,633. About Blog Houzz contributor and award winning designer provides interior design for private residences. Our work runs from very modern to crisp updated traditional. We love art, colour, pattern, and most of all we love to be inspired by what you love. Facebook fans 377. Twitter followers 342. Calgary, Alberta About Blog Reena Sotropa Interior Design specializes in high end home decor including custom home design, renovations and room makeovers in Calgary and Western Canada. It is Calgary's premier design studio. Named one of the “Top 20 Design Firms to Watch” by Canadian House and Home Magazine. Facebook fans 2,807. Twitter followers 3,739. Facebook fans 1,194. Twitter followers 3,771. Canada About Blog A Pop of Pretty, an established Canadian home decorating blog that shares tips, tutorials and inspiration on how to style your home pretty. Facebook fans n/a. Twitter followers 430. Toronto About Blog Interior Design Toronto is Toronto's source for interior design & home decor information. Facebook fans n/a. Twitter followers 1,499. Facebook fans 577. Twitter followers 632. Vancouver About Blog Children's Interior Decorator based in Vancouver, Canada. Dreamy spaces for your little one to laugh, play and dream. Baby nurseries, playrooms, little and big kid spaces. Facebook fans 538. Twitter followers n/a. Facebook fans 213. Twitter followers 24.
montreal quebec canada About Blog I am an Interior Designer, Blogger, BoBo (Bourgeois/Bohemian) who believes in democratizing the decoration of your home. Wake up to who you are, make it yours. 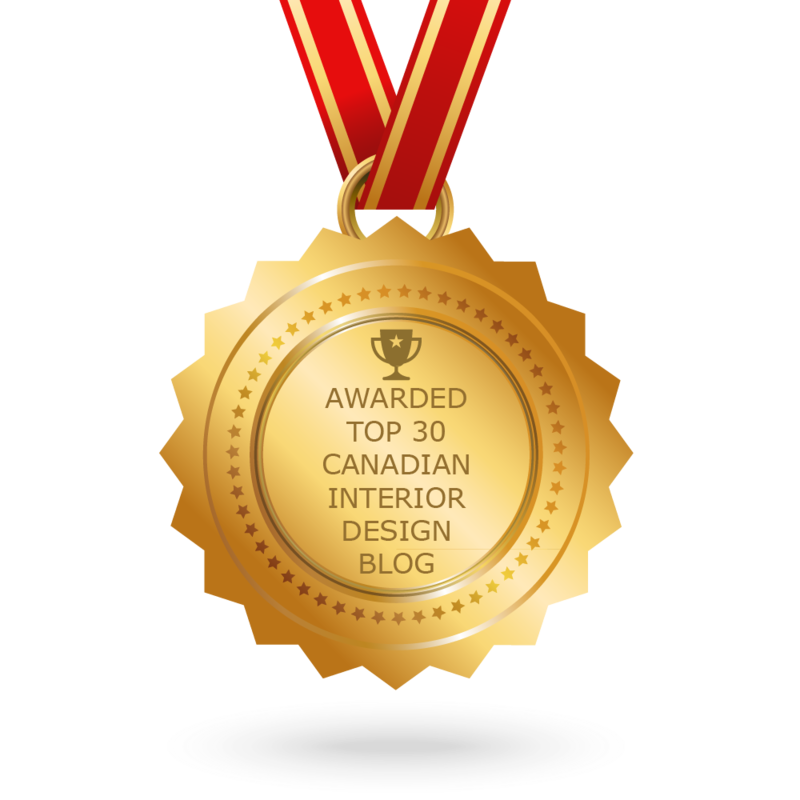 CONGRATULATIONS to every blogger that has made this Top Canadian Interior Design Blogs list! This is the most comprehensive list of best Canadian Interior Design blogs on the internet and I’m honoured to have you as part of this! I personally give you a high-five and want to thank you for your contribution to this world.